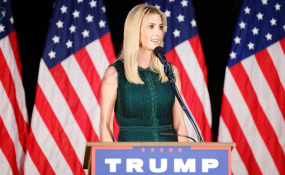 Ms. Trump announced a new award - through the Women's Global Development and Prosperity (W-GDP) Initiative - for Azalech Coffee Roasting, Grinding and Packaging, owned by Azalech Tesfaye. The loan was made possible through a joint U.S.- and Swedish- funded loan guarantee program designed to increase access to finance for women entrepreneurs in Ethiopia. The delegation also participated in a traditional Ethiopian coffee ceremony.